Comfortable hotel with serene ambiance and cool views. Staff are friendly and very helpful. Great Internet Speed. Amenities are a definite plus. Location is prime. Smells good in common areas ALL the time. Otel IBIS is the best! Breakfast is modest. Watermelons all days were spoiled. First I would like to thank Mr. khalifa at the reception who made our stay, we were about to leave because we had one day booking, he was very cooperative and professional so we decided to extend our stay with Ibis . The hotel is new in nice style with bigger room size than the standard Ibis. Nice modern hotel with very good size room and comfortable bed. Breakfast is excellent with a wide choice. Very good location with free parking. Nice friendly staff. We were extremely happy with the stay. We have stayed 4 times in Manama, having discovered the Ibis Styles brand in Tbilisi. The rooms in Ibis Styles Diplomatic are spacious and the corridors are wonderfully quiet at night - such a big improvement on the Ibis by City Center Mall in Seef, Manama. As with all Ibis Styles hotels, the interior design is attractive. 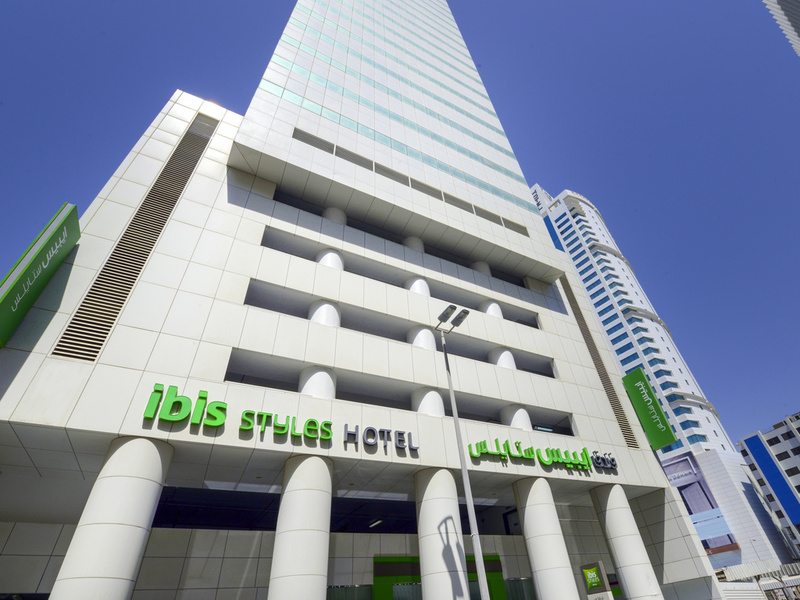 We find Ibis Styles Diplomatic Manama feels so much more personal than many hotels. The view from the restaurant is good but the breakfast itself is OK - but then we have been spoiled for breakfasts by the UK's Premier Inn brand (which is also in the UAE now, though the breakfasts are not as good as in the UK). Very excellent place to stay, neat and clean, helping staff. I visited Bahrain to deploy a fintech software solution, I had two laptops which I connected with hotel wifi and had remote vpn sessions with a fintech company servers and bank servers round the clock. Very good wifi speed, I was developing, fixing software and deploying the patches on servers. Latter on our software project was inaugurated by Honorable PM Bahrain and Governor of Bahrain Central bank and other honorable officials. Mr. Afzal (one of hotel staff) regularly cleaned by room, placing everything in proper order, provided plentiful coffee and tea bags. Jenny from OMNIYA (24th floor) always asked &quot;Omelette Sir&quot; and believe me the omelette is very delicious. I used to have plenty of fruit, juices, noddles in breakfast and I cannot forget to tell you about potato chips, they are baked with special spices and you must taste them if you stay their. My stay at the Ibis Hotel was a wonderful experience: very friendly and professional staff; good and clean rooms; quiet place. Would highly recommend the Ibis Hotel to any visitor. Very friendly and helpful staff, clean hotel throughout, excellent rooms, good facilities and very good location. it was great but my neighbor was smoking cigarettes while it's not the hotel problem at least they can have any action to change his room... regards..
nice view and nice stay .I have one point only about late check out they not accepted to stay more than 1 pm . Very pleased, room had space, parking convenient, front desk staff friendly. I would expect the reception staff to be a bit more friendly whilst leaving or coming back to the hotel. A smile would leave a great impact.